Size of this preview: 800 × 480 pixels. Other resolutions: 320 × 192 pixels | 1,024 × 614 pixels | 1,280 × 768 pixels | 11,175 × 6,702 pixels. English: PENINSULA CAMPAIGN MAP 3. Source United States, War Department. 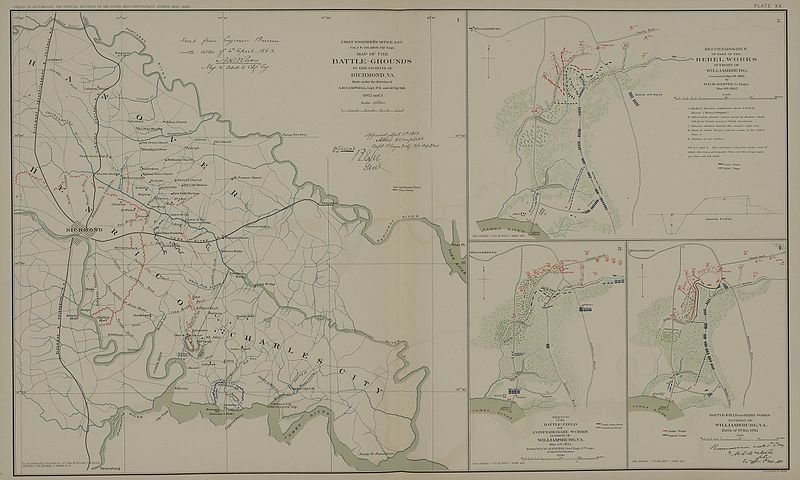 Atlas to Accompany the Official Records of the Union and Confederate Armies. Washington, D.C.: Government Printing Office, 1891 (2 vols.). Author United States, War Department.